This five part blog series shares our favorite analytics reports and how they can help you drive better decisions at five key stages of the customer journey from acquisition, to re-engagement. Use these reports to go beyond typical metrics — like daily active users, return visits and more — to learn insights that help you take retarget users and take action in the areas that matter most to your business. To drive growth, marketers need to foster deeper relationships with customers and grow brand engagement. And, to do so, better customer intelligence is needed to understand, predict and more quickly take action on customer journeys across any digital property or marketing channel. But what metrics or reports do you need to see those impacts? We’ve created lots of pre-built reports in our data and analytics solution to help the world’s leading brands get more out of their reporting. When it comes to your brand’s app, identifying your best app user acquisition channels — and tracking your app audience growth over time — is key. In this post, we’ll share two reports that can help you better your user acquisition efforts and prioritize your spend. 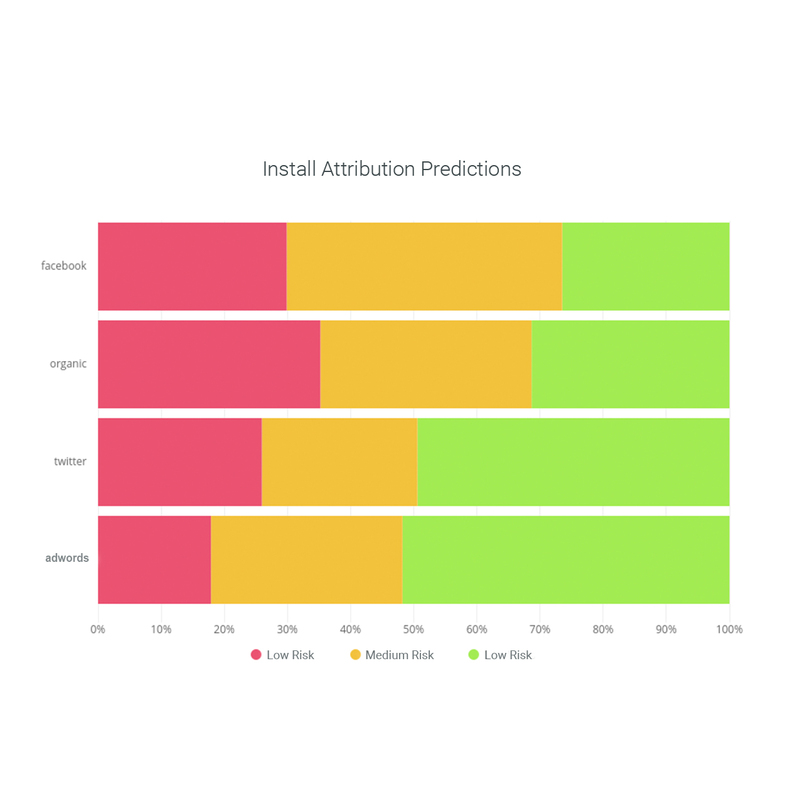 Use our Installation Attribution Report to identify the paid and organic traffic sources driving high-quality installs to your app. Go beyond the typical quantity-based reporting for acquisition programs. Our Install Attribution Report lets you identify programs that acquire new users with desired characteristics – active, unlikely to churn and regularly monetized through your conversion goals. By integrating quality metrics like daily active users (DAUs) or low churn risk, you can dial up the traffic sources driving net growth. Which ad programs are working best to drive new app installs? Am I getting more engagement from paid or organic traffic? Which programs generate new users with a low risk of churning? Adjust campaign spend to the channels bringing in users with a low churn risk/high revenue potential. Double-down on strong performing traffic sources and create lookalike campaigns to target additional users with a high lifetime value (LTV). Use this report to identify the quality of the users brought in through various acquisition channels, helping you make more informed decisions about future spend. Use our Net Customer Growth Report to determine the net growth rate of your addressable audience. Go beyond metrics like monthly active users (MAUs) and DAUs to reveal the net customer growth of your app by calculating several factors in one view — new users, churn, uninstalls and reactivations. The report gives a true picture of audience growth and, more importantly, allows visibility into factors like churn to help prioritize your efforts and spend. What is the daily net growth of my audience? Is this trending positively or negatively? Do I have a lot of new users, but a lot of uninstalls? Or the opposite, a ton of reactivations? What are the growth rate differences between iOS and Android users? Provide clear reporting to leadership on app growth. Identify what’s inhibiting growth (ineffective acquisition, churn, uninstalls) and take action to address it. 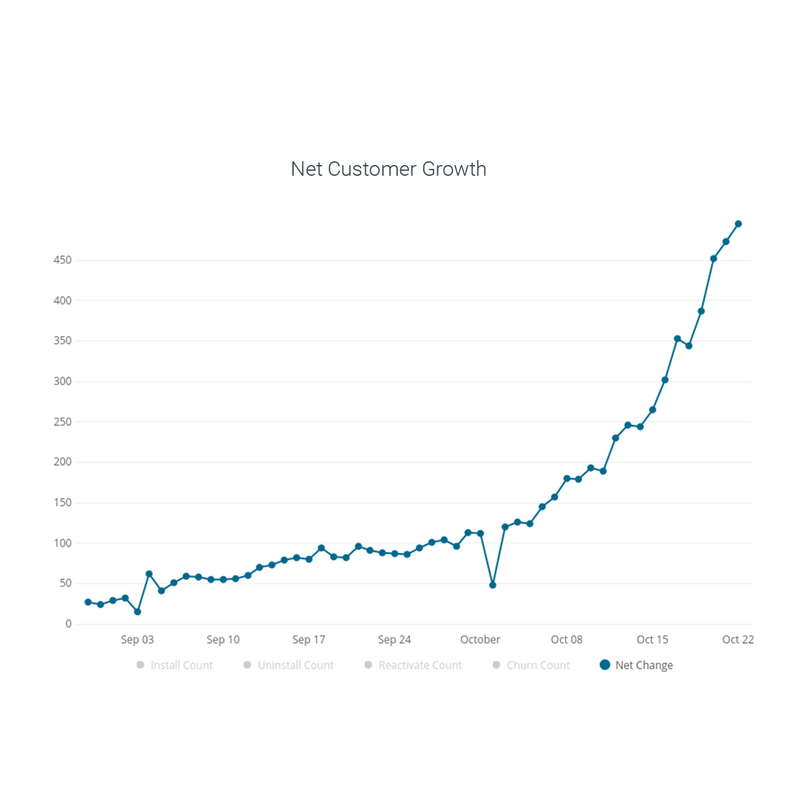 Quickly see (and report on) net customer growth over time, taking into account multiple factors for a clearer picture. Interested in reports beyond that help you beyond tracking and monitoring your acquisition goals? Get our 11 Must-Have Predictive Lifecycle Marketing Reports eBook to see the rest of our favorite predictive lifecycle marketing reports we recommend you start tracking to drive better decisions at key stages of the customer journey. Next in our series, we’ll share reports that can help with customer onboarding and retention goals. Subscribe to our blog to follow along – we share a weekly digest so you don’t miss a thing. Want to see all of the reports we'll be covering in this series right now? 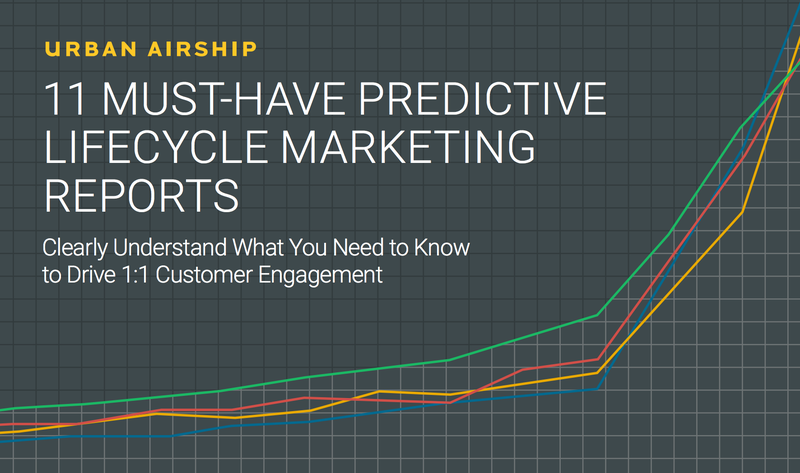 Download our eBook 11 Must-Have Predictive Lifecycle Marketing Reports anytime!